My grand uncle, brother of my maternal grandfather, used more than one name in his lifetime, making it difficult to find records for him. There were gradual variations in his name over the years. 1884, June 17. 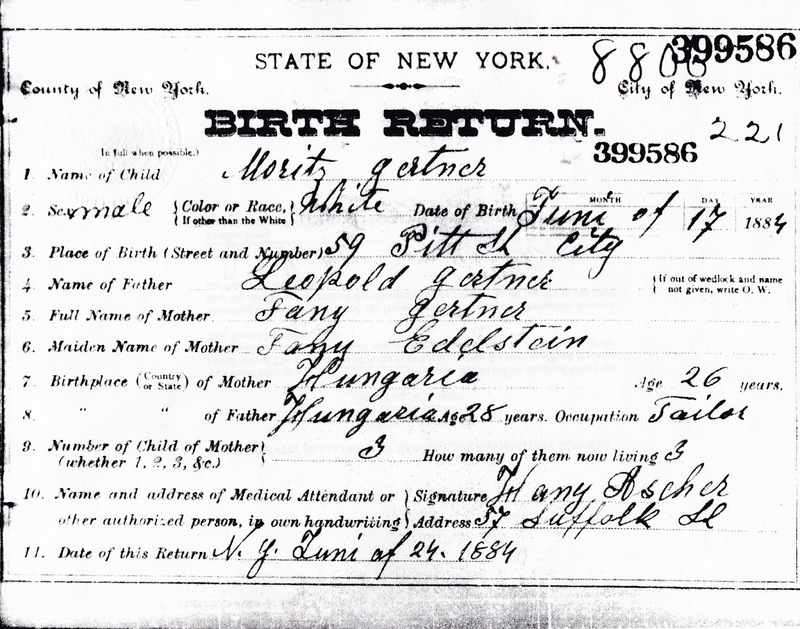 New York State birth certificate for my grand uncle shows his name: Moritz Gertner, son of Leopold & Fany (Edelstein) Gertner of 59 Pitt Street, New York City. 1905. New York State Census. Moses Gardner, 17 working as a telegrapher. 1917. WWI Draft Registration card. 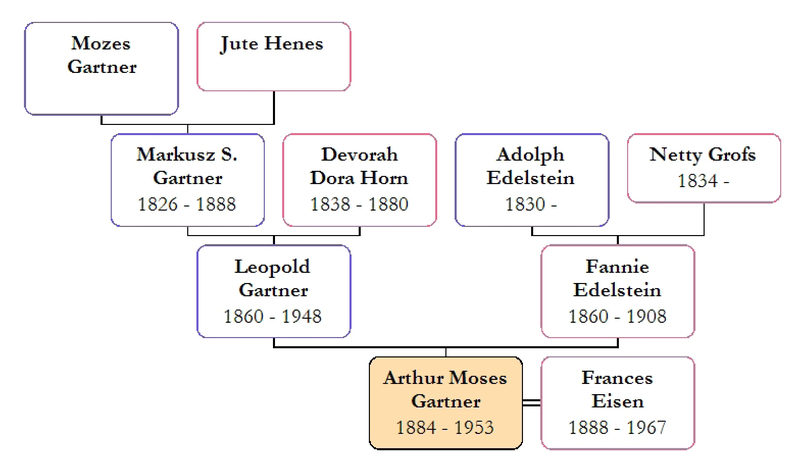 My granduncle was now Arthur Moses Gardner. Indicates he was born 15 June 1874. His father was Leopold Gardner and he was working for the Western Union Telegraph Company, so I know it is the correct man. 1925. New York State Census. Moses A. Gardner, 37. 1925, December 24. 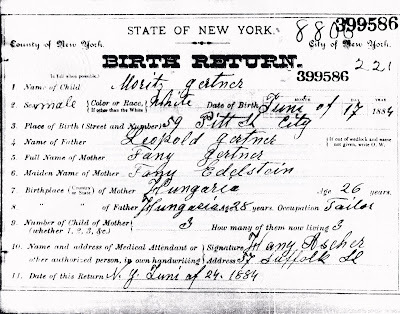 New York State Marriage Certificate. 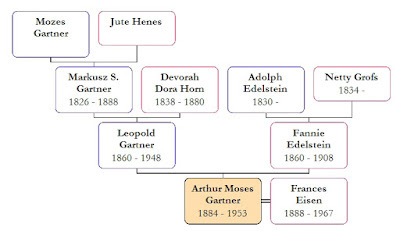 Arthur Moses Gardner married Frances Eisen in the Hotel Majestic on 72nd Street & Central Park West. 1930. US Census, Manhattan, NY. Arthur Gardner was a ‘wireman’ for Western Union. He & frances were on West 164 Street. 1940. US Census, New York City. Arthur Gardner and Frances lived on Riverside Drive. He was a ‘wire chief’ for a communications company. 1942. WWII Draft Registration card. Arthur Moses Gardner and Frances were still living on Riverside Drive. He was working for the Western Union Telegraph Company on Hudson Street. He indicates he was born 15 June 1884. 1953, May 4. According to Washington Cemetery in Brooklyn he died on May 4, 1953 and is buried under the name Arthur M. Gardner. The names changes were variations on his original name. He went from Moritz to Moses to Arthur Moses. His surname went from Gertner to Gartner to Gardner. It is easy to see how this could have gradually changed and makes a bit of a nuisance to track him but not impossible. I had not been able to find a birth certificate for my grand uncle, most likely because I was looking for Moses or Arthur. Recently, Robert Friedman, of Stepsto the Past LLC, went to the New York City Archives and found the birth & marriages certificates for me! Next up: photographs of his tombstone & a death certificate. Census Sunday: How many children? 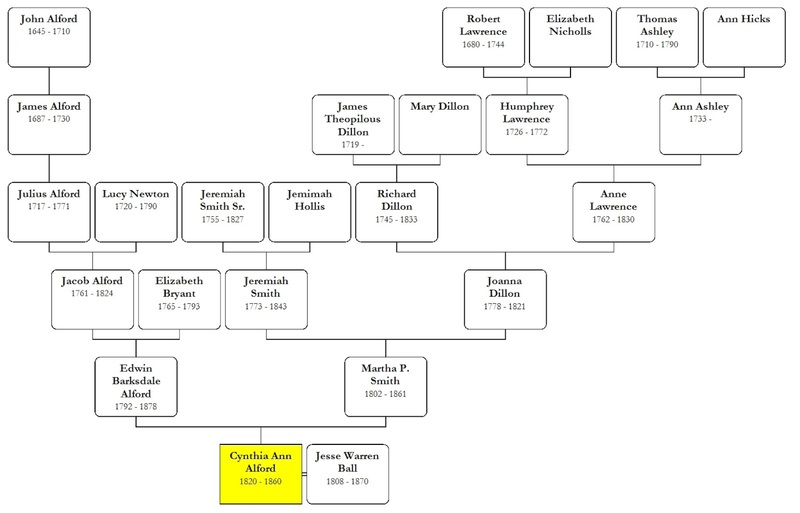 Jesse Warren Ball & Cynthia Ann Alford [my 2nd great grand aunt] lived in Mississippi and raised a large family. 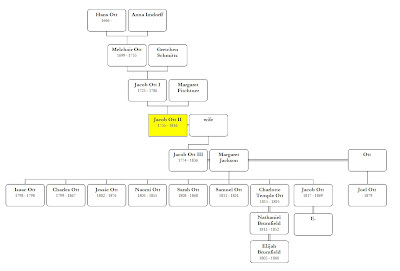 How large was that family and who were the children? I think I have made sense of the data and figured that out. 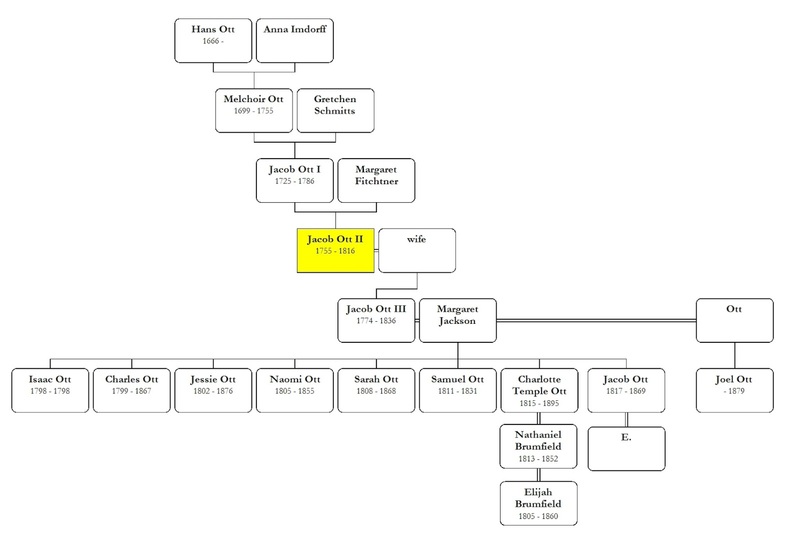 I found an Ancestry Tree that showed nine children. I wanted to verify those children so I started to check US Census reports. I quickly had pages of confusing notes. I started a new paper by folding it in fourths giving me four long columns, one for the Ancestry tree and one for each census year, and things began to come clear. Then I began an excel spreadsheet. Adding colors made it even clearer. I think I have the children sorted out. Anyone else like using spread sheets to sort data? I will check out 1880 as well. Hopefully, I am getting these children sorted out correctly. Seven of my 5th great grandfathers served during the Revolutionary War. Several of their brothers, sons and cousins also helped to obtain our freedom and to establish our new country. The information on Jacob’s service was brief so I decided to search for more about General Marion and quickly discovered he was the famous “Swamp Fox”. Suddenly my family was excited about this ancestor & his service. We all remembered learning about the Swamp Fox & watching his tale being told on the ‘Wonderful World of Disney’ when we were children. General Francis Marion was also known as “The Swamp Fox”. He eluded capture by the British as he & his band navigated the Carolina swamps. He had a troop of men called “Marion’s Brigade”. Their knowledge of the swamps allowed them to harass the British. This famous group helped to defend the city of Charleston and took part in the Battle of Sullivan’s Island. Our band is few but true and tried. When Marion’s name is told. My 5th great grandfather was one of many soldiers who helped to secure our independence from the British Empire. Served under Capt. William Brinkley & Capt. John Pitts; both under Col Samuel Jarvis. In trying to discover about William Kelly’s service information was brief so I looked for information about his Regiment. The 1st North Carolina Regiment was raised on 1 September 1775, at Wilmington, North Carolina, for service with the Continental Army. In January 1776 the organization contained eight companies. The regiment was present at the defense of Charleston in 1776. It transferred from the Southern Department to George Washington's main army in February 1777. At that time, Thomas Clark became colonel of the 1st Regiment. The unit became part of Nash's North Carolina Brigade in July. In 1777 the 1st North Carolina saw action at the battles of Brandywine and Germantown and it was present at White Marsh. Still led by Clark, it fought at Monmouth in June 1778. The North Carolina Brigade marched south under the command of James Hogun and arrived at Charlestown, South Carolina in March 1780. The 1st Regiment was captured by the British army at the Siege of Charleston on 12 May 1780. Clark and 287 men became prisoners. The regiment was reformed in the summer of 1781 and fought well in Jethro Sumner's brigade at Eutaw Springs in September that year. The 1st North Carolina was furloughed on 23 April 1783 at James Island, South Carolina and disbanded on 15 November 1783. US Sons of the American Revolution Membership Applications, 1889 - 1970, Louisville, Kentucky; National Society of the Sons of the American Revolution, microfilms. Recently I have come across a website that lists thesoldiers from North and South Carolina who served in the Revolutionary War. There are pages and pages of soldiers. You can search by: State, First or Last Name, Rank, Regiment or Key Words. Or, you can just browse but be sure you have lots of time because there is lots of information. 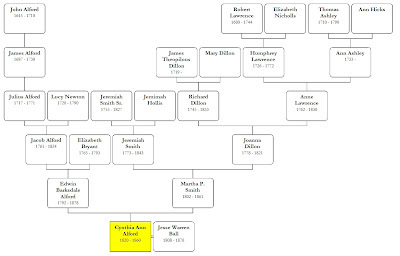 I found several of my ancestors, including Richard Dillon, my 5th great grandfather. The data matched information I had found on other sites. The only reservations I have in using the website is that I do not know where the data has come from. “Data provided from the website Carolana.” That’s all I have been able to discover so far. Has anyone else tried this site? I'd like to hear your thoughts. My husband & I are once again hosting a big family BBQ on the 4th of July! Hurray! It is lots of work and lots of fun. We have a nice screened in porch that is perfect for my uncle, the family patriarch, to sit on a rocker and a big back yard that’s perfect for the younger cousins to run and play. My brothers & cousins all bring a dish to share and my husband is in charge of the grill. There will be lots of laughter; sharing of ‘remember when…’ stories; and, this year, our baby grandson will be passed from one set of loving arms to another. Each time we gather for Independence Day I set up a family history display of some kind. This year I will focus on our Revolutionary War soldiers: seven of my 5th great grandparents who helped to free us from the British Empire. · The soldiers are numbered, both on the family trees & on the charts, to make it easier for the family to understand how each soldier is related to them. I will make some copies of this information for those who want to take it home. Whatever you do to celebrate, remember those who made the day & our country possible.